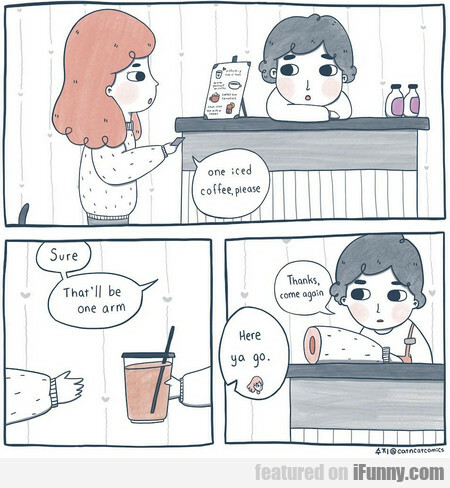 One Iced Coffee, Please. Sure. That'll Be One Arm. Oh! It's An Enormous One! !